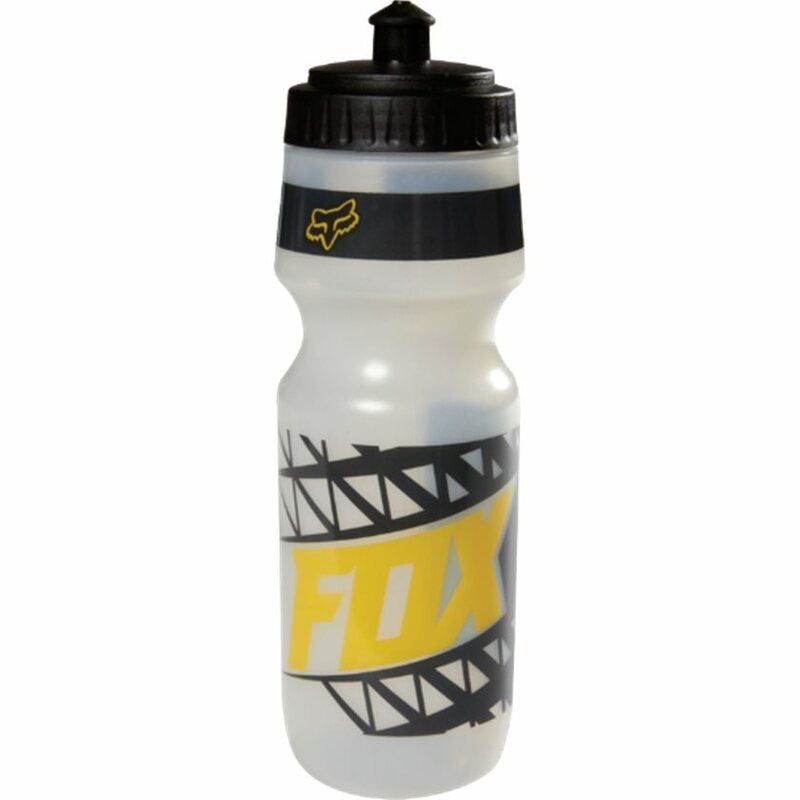 The Fox Given water bottle is race-ready and above all, functional! Stay hydrated on the course or in the office. I can't keep my satisfaction bottled up! It holds water very well. The bottle forces the water to take the shape of the bottle. Genius! It works very good, doesn't spill the liquid! Flexible material and fits most of the water bottle holsters! Sturdy bottle and the lid has a seal, which my other bottles don't have. Valve is good, and it says Fox which shows you mean business. Didn't come with any strange odor or have any taste, what more could you want from a bottle? 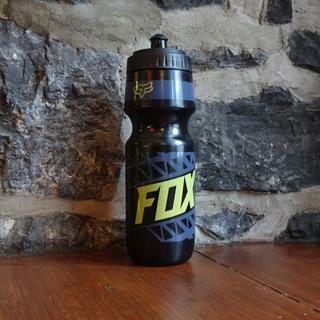 Great water bottle made by Fox! 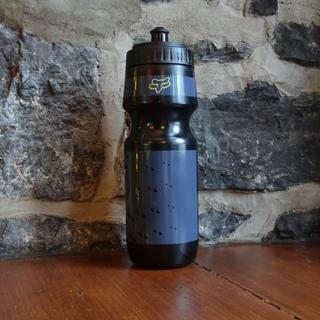 I use a hydration pack most of the time, but this bottle makes a great addition for the long rides or when you don't want to wear the backpack. It was cheap and it works well. I've got two of them on my road bike and have used it for the mountain bike as well. I used a tiny bungee cord for the mountain bike though - I didn't trust my $2 bottle cage that much. Nice water bottle for an even nicer price. The black on looks good on my bike. Water bottle worked like a water bottle should. Colors matched my bike and it was on sale. We have to two and both have worked great. They fit the Jenson water bottle cage very well. They are probably a little more expensive than they need to be but you pay for them to say fox on them. If you like the look, color and brand I would recommend. Did not get it cleaned good enough for the first use so it had a plastic flavor to my water. other than that it works good. Nothing fancy or innovative, just a water bottle. Graphics come off easily. Fell out of the flimsy alloy jenson bottle cage during the first race with it in my bike. Looked like it was a good bottle. So far this has been a solid, standard water bottle. No fancy features but it hasn't fallen apart either. I needed a bottle between 12 and 24 Oz to fit between my top tube and bottle cage. This claims to be 16 Oz. when it really is a large 24 Oz bottle. It holds water. A bit difficult to pull open the spout, thus the missing stars. I don't worry about leakage. It's not hydro flask but it gets the job done, honestly just bought for a water bottle around the house and an electrolyre bottle for races. Holds water when it is upright, dribbles when inverted. The tip of the bottle actually broke within a week :( and I really did like the bottle. So it pretty much joined the water bottle graveyard that I have. I'm just sad. It looks really cool in black.